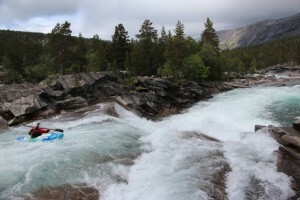 Rain, rain go to Norway…whoops it already did. Darcy and Don finished Small World’s European vacation with month in Norway. We went straight to Voss, found unusually high water, and got our last glimpse of the sun. Had we known that this was the last time we would see blue sky for a month, we might have stayed up enjoying the sun all night. Some of the “classic” Voss runs were too high, but we had a blast with juicy levels on the Brandset, and did a few of the runs that could handle higher water. The rain just kept coming, and it was time for the Sjoa festival, so we headed to the Sjoa where guess what, it was high there as well! 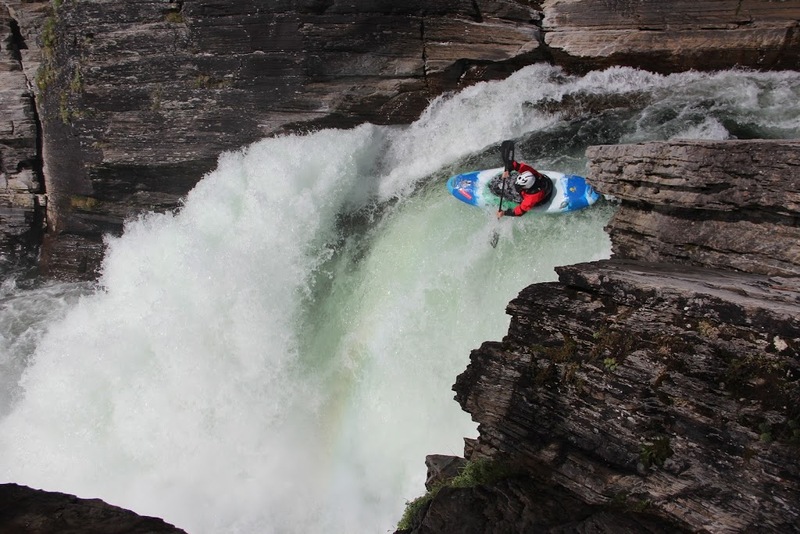 The high water was a good thing for the Ula Extreme race. Pretty much the more water the better for the slides where they hold the race. One of the best parts of the Sjoa fest for us was getting to hang out with our buddy Liam Kirkham and the rest of his English buddies. Liam is going to be working with us in Ecuador this winter. He’ll bring his great enthusiasm and river sense to the job, and will help us with the language barrier between American and English. We also got to hang with Goran and the folks from Sweet. They were big sponsors of the event, and of course of Small World’s summer giveaway as well. Thanks, Sweet, for all the support, and for making great gear. With the high water making so many of the normal runs a bit stout, we decided to seize the opportunity to get off the beaten track. Less explored (but getting popular) parts of Norway are up North near Hattfjelldal and Mo i Rana. It was a bit of a drive, but we were inspired by the possibility of paddling North of the Arctic circle. And it was raining so much it was nice to sit in the car anyway. Possibly my favorite rapid of the trip was the Dusj-boof on the Susna river. Yeah, I’m pretty sure “dusj” means shower in Norwegian. Besides being in a pretty mini canyon with great rocks on either shore, the move itself is really cool. You drive off a hump into the middle of a flume of water and well, get showered. One of the coolest camp spots in Norway was by a lake called Rossvatnett. Cool because it had a COVERED picnic table! Cooking in the rain is not as fun as I remembered. This spot was next to a rest area that also had heated bathrooms! Covered rest areas should be standard issue in Norway, but surprisingly we found very few. People told us that it was an unusually rainy July even for Norway, but the added bonus of a heated bathroom makes me suspicious. North of Mo i Rana there are rivers to paddle that are North of the Arctic Circle. We thought it would be extra cool for people who spend their winters paddling on the Equator to paddle where the sun don’t shine (in winter) and where it’s still sunny at night. The Land of the Midnight Sun. Or at least, lit up clouds. 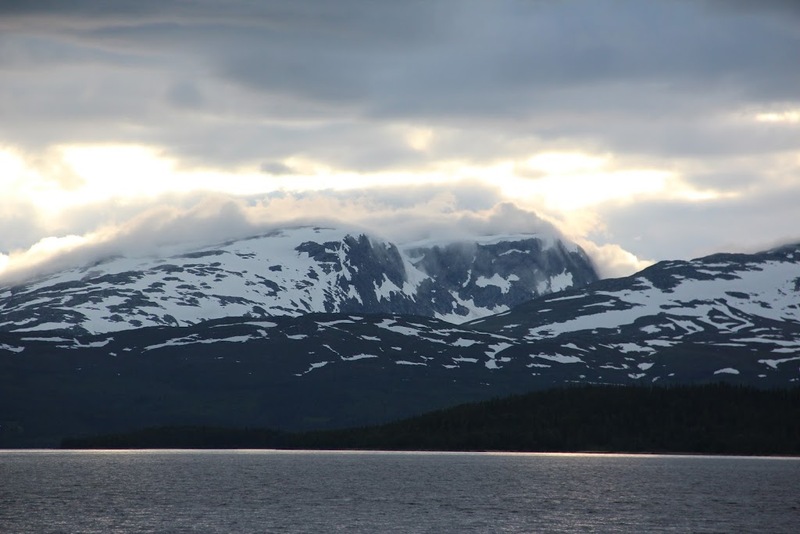 While the Arctic Circle marks the southernmost point on Earth where it’s possible to see the sun at midnight on the summer solstice, we think the cloud cover interferes with that phenomena pretty often. 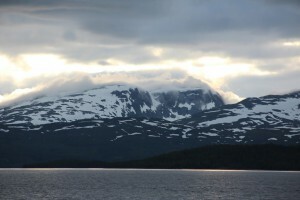 Our favorite Arctic river was the Lonndalselva, which flows to the North in the Arctic Circle. It had great granite and falls and slides, and it didn’t rain so much! Of course we found out that when the rain stops, the bugs come out. Now we know why Reindeer migrate. On the way south we stopped to paddle around Oppdal and Valldal, but then it was time to head back to home. Being in Norway was great, but it sure did make me appreciate what we’ve got going in Ecuador. We have infinitely less bugs, and even though we’re in the rain forest, it doesn’t rain nearly as much as it did on us in Norway – and it’s warm anyway. 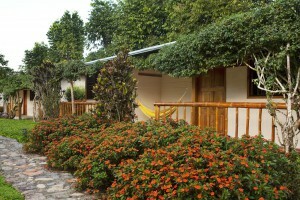 Besides, at our lodge, we’ve always got a place to eat that’s out of the rain! 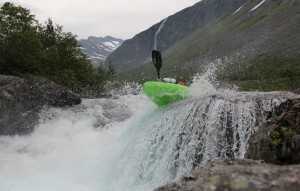 Big Water, Steep Creeks, Jungle, Mountains, and Rain–What More Does A Kayaker Need?